Caesarean section performed in the second stage of labour has many implications for maternal and neonatal morbidity as well as for subsequent pregnancies. A study was conducted to analyse the indications and maternal and neonatal prognosis of caesarean sections performed in the second stage of labour. Four percentage of caesarean sections were performed in the second stage of labour; 60% of these were referred cases. Most common indication was non-descent of head. Forty-three percentage of newborns were admitted in the neonatal intensive care unit. Hospital stay was prolonged which further increased the hospital burden. A proper judgement is required by the obstetrician to take decision for instrumental delivery or caesarean section. Early diagnosis and timely referral with a good infrastructure would help to decrease the maternal and neonatal morbidity. Smriti Bhargava: Assistant Professor., M.B.B.S., DGO, DNB. (Obst. & Gynae). Nupur Hooja: Senior Professor. M.B.B.S., M.S. (Obst. & Gynae). Manisha Kala: M.B.B.S., Resident, M.S. (Obst. & Gynae). Premlata Mital: Senior Professor, M.B.B.S., M.S. (Obst. & Gynae). Kritika Tulani: M.B.B.S., Resident, M.S. (Obst. & Gynae). Surabhi Arora: M.B.B.S., Resident, M.S. (Obst. & Gynae). Bhomraj Kumawat: M.B.B.S., Resident, M.S. (Obst. & Gynae). Shivani Gupta: M.B.B.S., Resident, M.S. (Obst. & Gynae). WHO/Caesarean sections should only be performed when medically necessary. 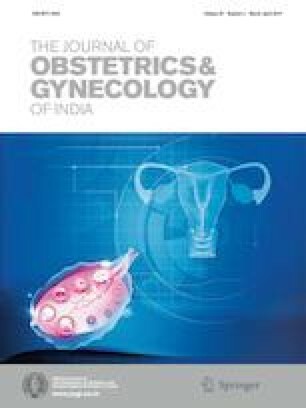 http://www.who.int/mediacentre/news/releases/2015/caesarean-sections/en/.